Our own label range is blended by our master herbalist to meet the needs of modern life. 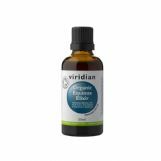 Herbal tincture mixes are the ideal supplements to gently support your body's natural systems. 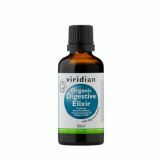 A blend of six organic herbs - the perfect supplement for those looking to cleanse their system. Dandelion and Burdock tincture is a classic combination of two cleansing herbs. The ideal organic supplement for athletes in training. With Siberian ginseng and red ginseng. With Organic Ashwagandha and Organic Red Ginseng these herbs give background protection and act as a tonic to give men the lift they need. An excellent broad-spectrum organic herbal combination designed to boost immunity. When the sun is high and the air is heavy with pollen, that's when a regular dose of Summer Breath is the ideal supplement. Ideal with a nice hot cup of honey and lemon. With coltsfoot, echinacea and rosehip the perfect winter herb mix.